Birmingham City University has submitted plans for a new £123million city centre campus after an original scheme was scrapped because of the proposed high-speed rail station at Eastside. Birmingham City University has submitted plans for a new £123 million city centre campus after an original scheme, which was almost double its size, was scrapped because of the proposed high-speed rail station at Eastside. Architects have drawn up new designs for the campus, which will house the Institute of Art and Design in an 18,000 sq metre building on land next to Millennium Point. The university had previously submitted plans for a larger 30,000 sq metre facility between Park Street and New Canal Street, which had been granted outline planning permission by the city council and had been due to open in 2013. But the proposals were scrapped when the Government recommended siting a new high speed rail station on the site, which will be used to serve high speed lines to London, Manchester, Leeds and Sheffield. Officials from the university are still fighting to obtain a £30 million refund from Birmingham City Council to cover the costs of submitting its first planning application and drawing up expensive designs for the original scheme. “We are having positive discussions with the council about obtaining a refund of our costs. “However negotiations are still in the melting pot,” said David Stanley, of City University. He said talks with various bodies were taking place but he was confident a settlement could be reached. “The campus is an important part of the planning jigsaw that makes up Birmingham’s Big City Plan – the most far-reaching, citywide development project ever undertaken in the UK. “We are very much committed to the Big City Plan and our campus is integral to that. We will have a flagship presence on that site,” added Mr Stanley. The latest planning application outlines a scheme to develop a purpose-built facility that will solely house Birmingham Institute of Art and Design. It replaces an original scheme that covered extensive remodelling of all university facilities, but this has been put on hold. 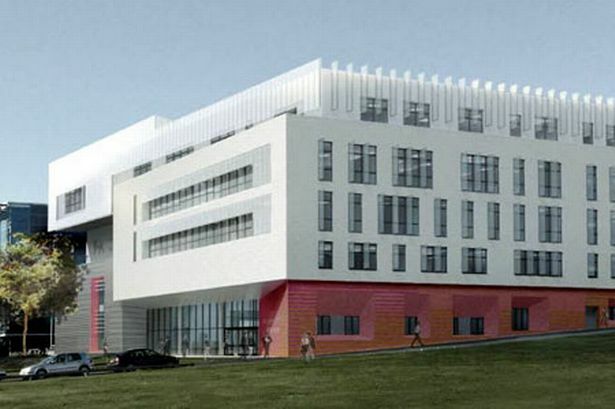 Instead, current university operations at Millennium Point will be upgraded, while consultations take place to determine the future of the next phase of the development. We are looking at options for the second phase but nothing has been decided yet,” said Mr Stanley. The new creative facility will include state-of-the-art TV, radio and photographic studios. Project director Peter Cochrane said the development was an important factor in the redevelopment of the region. “This project is significant not only for Birmingham City University but the city as well through further support to the regeneration of Eastside,” he said. “Our city centre campus plans aim to support the creative industries, a crucial sector in both the regional and national economies, and ensure we maintain our leadership in this field,” added Mr Cochrane. Building work on the new campus is expected to be completed in 2013. Professor David Tidmarsh, vice-chancellor of Birmingham City University, said the new campus plan would be the centrepiece of the regeneration of Eastside.